Thiruvananthapuram: The effort made by some interested quarters to link the Muziris excavations with the visit of St. Thomas Apostle has been criticised by eminent archaeologist and former director of the Tamil Nadu Archaeological Survey of India, R. Nagaswamy. “When looking at the literature on the life of St. Thomas, it is not mentioned anywhere that he came to India. It is only a myth, which has now been connected with the excavations at Pattanam, near Kodungalloor,” the former visiting professor of Jawaharlal Nehru University told Express. In fact, the ancient Muziris port must have been located in Kodungalloor and not in Pattanam because all major ports in ancient times were situated at river mouths. And so it is safe to assume that Muziris was at Kodungalloor, where the river joins the sea. 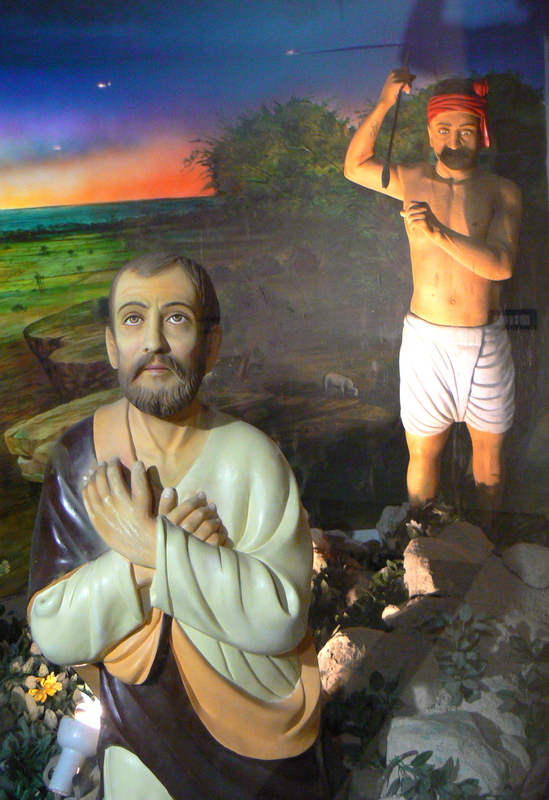 He felt there was a hidden agenda by certain sections to propagate the idea that Muziris was connected to Pattanam, where St. Thomas is believed to have landed, and not with Kodungalloor. Paravoor: St Thomas Church in Maliankara which was constructed as a historical monument of the visit of St Thomas Apostle, one of the twelve disciples of Jesus Christ, who landed in Maliankara in AD 52, should be included in the Muziris Heritage Project, urged Kottapuram Bishop Dr. Joseph Karikkassery. Bishop Karikkassery visited the church in Maliankara, the monument constructed to perpetuate the visit of the apostle. St Thomas is believed to have disembarked from a trading vessel at Kodungalloor Maliankara and baptised several people in various parts of the country. Cardinal Tisserant representing the Holy See, had installed the historical monument at St Thomas Church in Maliankara. This entry was posted in apostle, india, indian history, mar thoma, muziris, religion, roman catholic church, st. thomas, thomas the apostle and tagged apostle thomas, early christianity, kudungallur, maliankara, muziris, myth, pattanam, r. nagaswamy, st. thomas. Bookmark the permalink.